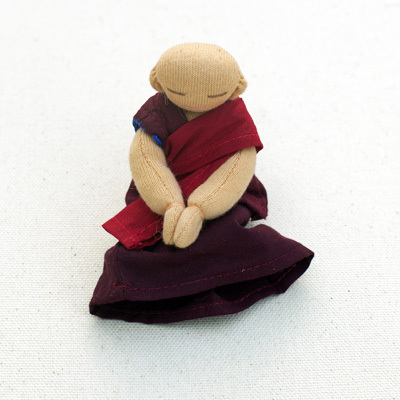 Our Mini-Monks are sitting in meditation posture with their hands clasped together in prayer. They might be perfect to put on an altar, but certainly can also be enjoyed in play. The product is filled with 100% sheep’s wool and the hands clasp together with inserted magnets. The clothing is securely stitched onto the body and cannot be removed.